Sweet dreams are made of trees, especially this super skunky bud. 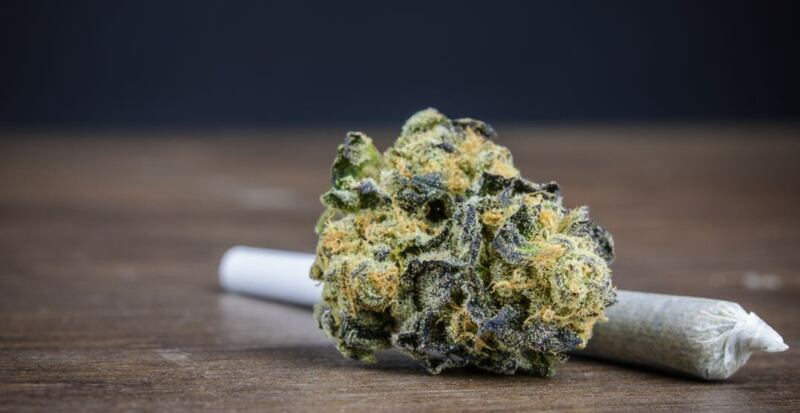 Bubba Rock is a hard-hitting indica that is perfect for a nighttime smoke sesh. A cross of Rockstar and Bubba Kush, this Canadian-born BC strain packs 22-25% THC. Keep an eye out for tight, dark green buds with red hairs and lots of trichomes (those crystal-looking bits that get you high). Bubba Rock has a distinct skunky smell that lets you know it’s a potent indica, while also giving off hints of pine. (This is definitely one to keep in a smell-proof bag or airtight container). Expect a pungent, sweet and earthy taste that burns slow and leads to instant relaxation. Clear your schedule, because aside from feeling euphoric you’ll also be very sleepy. Bubba Rock is a great strain for helping with anxiety, chronic pain, insomnia and loss of appetite.